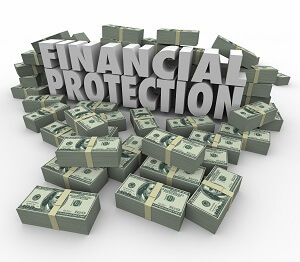 Future of Consumer Financial Protection Bureau Is Uncertain | The Consumer Law Group, P.C. What Would the Loss of the Consumer Financial Protection Bureau Mean to You? Following the 2008 financial crisis and subsequent recession, the Consumer Financial Protection Bureau (CFPB) was created to protect consumers from the kinds of practices that harmed so many Americans during the crisis. Based on an idea presented by Sen. Elizabeth Warren (D-MA), the CFBP began operation in 2011 and was tasked with ensuring honesty and fairness in mortgage lending, credit card services, and other financial products. The agency reports that since 2011, they have successfully returned $11.7 billion to 27 million consumers. They are also responsible for holding Wells Fargo accountable for opening 2 million unauthorized accounts in customers’ names and have gone after mortgage lenders and student loan servicers for ripping off borrowers. Given the success of the agency, it seems surprising that the new administration would want to get rid of it. However, Republican lawmakers claim that the CFPB has too much power to investigate and punish financial institutions. They believe oversight should be returned to bank regulators—the same regulators who failed to stop the irresponsible mortgage lending and risky investments that led to the 2008 financial crisis. Sen. Warren accuses Republicans of “rushing to unleash the big banks” once again. Certainly, the agency is in the business of helping working-class Americans, not Wall Street and giant corporations. Donald Trump himself has promised to make significant cuts to the Dodd-Frank Act, the legislation that created the CFPB. Who Will Protect You When Government Oversight Is Gone? If the CFPB is eliminated, it will be more important than ever for consumers to be aware of their rights under federal law. If you believe your rights under the Fair Credit Reporting Act or the Fair Debt Collection Practices Act have been violated, contact the Consumer Law Group, P.C. at 804.282.7900 to find out if you can take action against a lender or bank. We are here to uphold the law and to protect consumers from illegal practices.